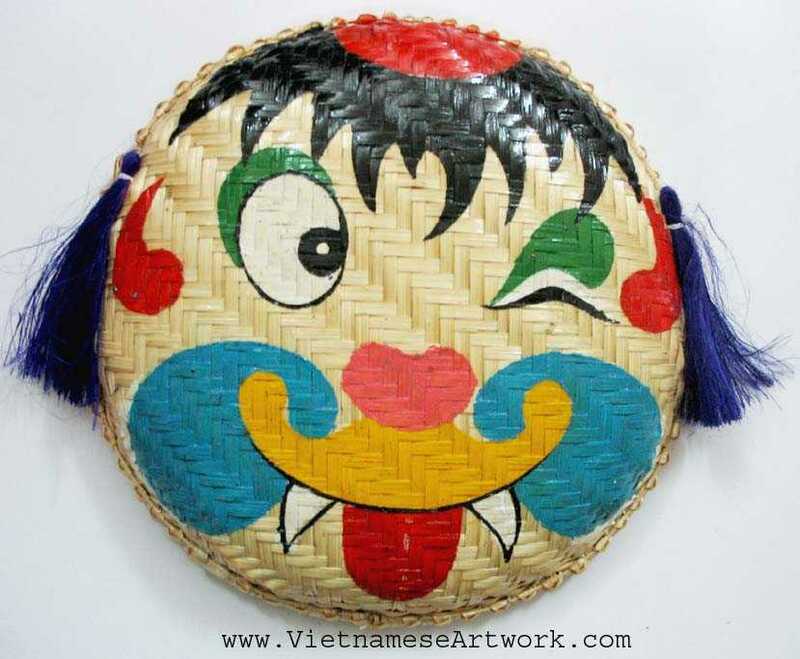 These masks are hand made in Vietnam. They are designed by the artists with the inspiration of the famous vietnamese characters in theatre and literature. Some of them are painted by the traditional theatre make up style. Some of them are made after the popular characters in folk culture, while some of them are made after the sacred saints in the temples. Each mask has an unique character. They are stunning and unique!